Digitally remastered edition. Real turning point in the history of salsa, the band brings together the biggest names of the Fania label with mythical figures like Ray Barretto, Celia Cruz, Willie Colon, etc. Fania Records was a New York based record label founded by Dominican-born composer and bandleader Johnny Pacheco and Italian-American lawyer Jerry Masucci in 1964. The label took it's name from an old Cuban song by the singer Reinaldo Bolaño. Fania is known for it's promotion of what has become known as Salsa music. The label started out as a small venture, but gained popularity after the success of it's first official record, Pacheco's "Cañonazo", leading to the expansion of it's talent base. 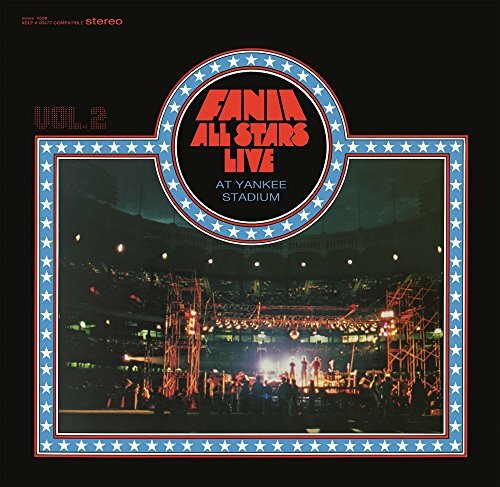 Among Fania's signature stars are: Willie Colon, Celia Cruz, Larry Harlow, Ray Barretto, Ralfi Pagan, Luis "Perico" Ortiz, Bobby Valentín, Rubén Blades, Héctor Lavoe, Cheo Feliciano, Adalberto Santiago, Ismael Miranda and many others. If you have any questions about this product by Fania, contact us by completing and submitting the form below. If you are looking for a specif part number, please include it with your message.